PRO: The excitable Spanish star crushed longtime foe Roger Federer at last year's Wimbledon, earning him the No. 1 ranking and the praise of John McEnroe, who dubbed it "the greatest match [he'd] ever seen." 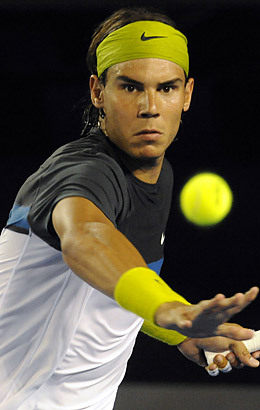 CON: If Nadal keeps defeating Federer, this is going to become an awfully lopsided rivalry.